Gisbertus Voetius (1589-1676). Canvas, 44 × 34 cm. Model for the painting in the Senate Chamber of Utrecht University. Utrecht, Universiteitsmuseum (on loan to Rijksmuseum Het Catharijneconvent, Utrecht). Acquired about 1964. For half a century, Gijsbert Voet, with the zeal of an ayatollah, protected the principles of ' the true Reformed Christian religion' against the influence of Catholicism, Anabaptism, Judaism, Remonstrantism, Cartesianism, Jansenism, Labadism and backsliding leaders of his own creed of Calvinism. He was an ecclesiastical politician, a minister, a dogmatician, and an academic, in that order. When the Utrecht school of higher education became a university in 1636, he was appointed professor of theology, a chair which he accepted with an inaugural address on 'joining piety with science.' Under his unwavering leadership, the Utrecht faculty of theology took over the lead from Leiden as the heartland of intransigent Calvinism. However over-pronounced his stance, Voetius was not a caricature of a man. He was exceptionally intelligent and clearthinking, had a taste for music and a weakness for Anna Maria van Schuurman. Some traces of his impact on the outside world can be found in the entries above, on Schotanus and Coccejus, and below, on Anna Maria van Schuurman. His portrait is by one of the best Dutch painters ever to paint an academic portrait, the Rembrandt pupil Nicolaes Maes. The Lord has promised the church, purchased with His own blood, that the gates of hell shall never prevail against it. To accomplish this, Christ raises men in the church who are strong and passionate defenders of the faith. These men, qualified by Christ, placed at crucial times in the church, and equipped spiritually for the task, do battle with heresies that threaten the church's welfare. After all, one crucial means, used by Satan to destroy the church, is the introduction of heresy into the church's ministry and teaching. These men are not always the most liked; indeed, they must often suffer abuse at the hands of their own fellow members in the church. They are not free from sin; God is pleased to use weakest means to fulfill His will. But they are men of courage and faithfulness, and through them Christ preserves the cause of His church in the world. It is quite amazing that almost as soon as the delegates from the great Synod of Dordrecht said farewell to their fellow delegates and returned to their homes and churches, serious heresies arose in the churches of the Netherlands which threatened her orthodoxy. The echo of the ringing bells in Dordrecht which marked the end of the Synod had not yet died away and errors of almost every conceivable sort entered the universities and pastorates. Only through the courageous battles of some staunch men of God were these errors turned away, -- and then only for a time. One of the most ardent defenders of the faith was a man by the name of Gijsbertus Voetius; or, if we would abandon his Latinized name, Gijsbert Voet -- the surname being the Dutch word for "foot." Gijs Foot. He was a man who stood head and shoulders above his contemporaries. Gijsbert Voetius was born of a Dutch Reformed minister in the town of Heusden, the Netherlands. He was born on March 3, 1588 or 1589; biographers are not sure; apparently some mishap clouded the town records. The date of his birth tells us that he lived in some of Holland's most troublous, though prosperous, times. Holland had become a naval power and Holland's navy sailed the seven seas. Colonies were established by these navies in the West Indies, the East Indies, America, and South Africa. Exotic silks, spices, and woods flowed in an unending stream into the country. The growing trade of Europe passed through its ports. Merchantmen and craftsmen filled the cities. The nation's navy could stand before the mighty sea powers of England and France without flinching. It was enough to make any Dutchman proud. Politics, however were troubled. The Eighty Years War with Spain was still raging and the borders to the south were dangerous places to live. The nation was divided between Orangeists (who wanted the House of Orange of the throne of Holland) and Republicans (who wanted nothing resembling a monarchy). The divisions were deep and bitter. The Reformed faith had taken root in the nation and had, within a few decades, become the dominant religion of the Lowlands. That Reformed faith, born and nurtured in Geneva, had found particularly rich soil among the fiercely independent Dutch. But the Reformed faith was being threatened by a growing attachment of many ministers and leaders to the evil heresy of Arminianism. It had been spawned in the fertile, though shallow, brain of Arminius, minister in Amsterdam and later professor of theology in the University of Leyden. Voetius' father was a sturdy defender of the Reformed faith, and his son imbibed this doctrine from youth. He was a brilliant lad who soon outshone his fellow students in his studies. Leyden was his home school and there he studied under Gomarus and Arminius, though Gomarus did more than any other to shape his mind. He was industrious and possessed what we would call today a photographic memory. So rapidly did he advance in his studies that, while still in the University, he was appointed lecturer in Logic. In his classes he defended the strictest Calvinism and already in these years showed his disdain for any viewpoint which challenged the teachings of the Reformer from Geneva. Because of his many gifts, he was, upon graduation, called soon to the ministry of the Word of God in Vlijmen. The year was 1611, seven years before the great Synod of Dort. After serving many years in the pastorate, he became professor in the University of Utrecht where he spent the rest of his life, a professor for no less than 42 years. Before Voetius became professor he served two congregations. He spent about six years in Vlijmen where he was first called, and about 17 years in Heusden, the town of his birth. During the years of his ministry, Voetius preached eight times a week -- and we think we are busy when we preach twice a week. While it was the custom in those days for an elder to read the Scriptures and for a precentor to lead the singing, Voetius often did this himself for the congregation. He was faithful in his pastoral labors, and the congregations he served came to love him deeply. But his ministry was not limited to the work of the congregation: he was intensely interested in evangelism and missions. While in Vlijmen, a village in which were still many Roman Catholics, he was instrumental in bringing a large number of Roman Catholics to the Reformed faith. And, while minister in Heusden, he was influential in persuading the large trading companies to send missionaries with the Dutch ships to distant parts of the world so that mission work could be done in these far-off islands and lands. And, if all this were not enough, Voetius gave himself over to the study of Arabic, the better to understand the Semitic languages, one of which was the Hebrew of the Old Testament Scriptures. In 1634 Voetius accepted the call to become professor in the new Academy of Utrecht. When, in 1636 the Academy became a University, Voetius preached the inaugural sermon on Luke 2:46: "And it came to pass, that after three days they found him in the temple, sitting in the midst of the doctors, both hearing them, and asking them questions." During the years of his labors in Utrecht, Voetius taught theology, logic, physics, metaphysics, and Semitic languages: Hebrew, Arabic, and Syraic, surely a heavy load. But in addition to this massive load of teaching, he also became the pastor of the church in Utrecht, and the street on which he lived bears his name to this day. He was a prolific writer in many different fields, although those who have read his writings complain that they were almost impossibly boring and difficult to read. To accomplish all this work, Voetius rose at 4:00 a.m. to begin his studies for the day and prepare for his many lectures. He has often been accused of being "scholastic" in his theology; in fact, one author calls him, "The greatest of the scholastics." This was meant, of course, as criticism. Many today complain that the theologians of the Dutch Reformed tradition, beginning with Theodore Beza and continuing through Herman Hoeksema, have altered fundamentally the theology of Calvin with their "scholasticism." Before we become too critical of these supposed "scholastic" theologians however, we do well to listen to more balanced students of Dutch Reformed theology who have pointed out that not the theology of the early Dutch theologians was scholastic, but the method in which they developed their theology was the method used by the Medieval scholastic theologians. That is, these Dutch theologians were intent on developing Reformed thought by careful analysis, detailed definition, thorough development of each theological concept, careful repudiation of every heresy, and logical organization which was intended to show the relationships between all the truths of Scripture. It was not, by any means, all bad. But that is another story. Voetius hated Arminianism. He saw it for what it was: a wholesale attack on the very heart of the Reformed faith and, fundamentally, a return to Roman Catholicism and its doctrine of salvation by works. He began his battle against Arminianism already before Dort as the Arminians increasingly began to influence the theology of the Dutch Churches. In fact, more than likely, Voetius took a call to become pastor in Heusden because this city had become a hotbed of Arminian thinking. Yet, as Arminianism gained ground prior to Dort, Voetius was not averse to travelling to other cities (such as Gouda and Bois-le-Duc on the Belgian border) to do battle with these enemies of the Reformed faith. So trustworthy was he considered to be that he was voted delegate to the Synod of Dordrecht (1618-'19). At the Synod he made major contributions to the defeat of the Arminians and the writing of our precious Canons. When Bogerman, the president of the Synod, angrily dismissed the Arminians from the Assembly and forbad them to return, Voetius supported his actions. Although Dort was a might victory for the Reformed faith, Arminian poison continued to affect the churches, and Voetius spent all his life doing what he could to root out this pernicious evil. Yet, his interest in the Reformed faith was not merely in its intellectual coherence and internal harmony. Voetius was a godly and pious man. One of the first books, if not the first, was entitled "Proof of the Power of Godliness." His thesis in this book was that, while Arminianism is destructive of Christian morality, the orthodox faith gives attestation to itself in a godly and upright life. The book was not the writings of a man who did not live what he believed. He was firmly convinced, and showed it in his own life, that the Reformed faith, when embraced wholeheartedly, led to Christian piety. But Voetius did not do battle with Arminianism only. Other heresies appeared soon after Dort and Voetius took up the weapons of his spiritual warfare against them. Strange as it may seem to us, soon after the Synod of Dort, the philosophy of the French philosopher, René Descartes, was beginning to have an impact in Holland, even in the University of Utrecht. Descartes firmly believed that the Christian faith could be supported by reason alone and really had no need of faith to bolster its tenets. This was rationalism, pure and simple. Against it Voetius waged bitter war, and in fact secured the dismissal of his own colleague in Utrecht, Regius. So biting was his attack that Descartes himself, in lonely isolation in France, but adored by all Europe, considered it necessary to respond to Voetius. Sadly, Voetius, while winning the battle in his own lifetime, lost it in the long run of Dutch theology. When the French Calvinists were persecuted in France, many of them fled to the Lowlands were they could find political asylum. Among them were mystics who found a congenial home in some parts of Holland. Their spokesman, at the time of Voetius, was Jean de Labadie, who was not only deeply imbued with mysticism, but who also preached and practiced separation from the instituted church -- as mystics usually do. It was the valiant efforts of Voetius who heldthese miserable mystics at bay. But his greatest battle was with Cocceius, a colleague in the ministry. In a way, this controversy was sad because Cocceius himself was an important figure in the development of Reformed thought. Cocceius was disturbed by the "scholasticism" of his colleagues and developed what later became known as Biblical Theology. In the course of his work Cocceius made such a sharp distinction between the Old and New Testaments that he denied the validity of the New Testament Sabbath. Although Voetius attacked him for this, the controversy involved other points as well, including various political questions. Voetius promoted strongly the need for Holland to be ruled by the royal House of Orange, while Cocceius wanted a more Republican form of government. The controversy became very bitter and the church was divided into a Voetian Party and a Cocceian Party. In fact, the controversy was never settled and continued beyond the death of the two opponents, and only gradually died out. After producing three sons, two of whom became professors and one a minister, and after seeing even a grandson become a professor, Voetius died on November 1, 1676. Voetius has often been charged with "using the end to hallow the means:" "Voetius was vehement, and not careful as respects the choice of his weapons." He has even been charged with dishonesty by some biographers, a reference to his debate with Descartes when he denied authorship of a book which was published under another man's name. But that he was a vehement defender of orthodoxy cannot be denied and even one author, not a friend, pays this tribute to Voetius: "With all the faults of his character, Voetius was an earnest and sincere Christian, and a most devoted servant of the Church. Few men have in any age exercised greater influence over the Church of their time and country." It is a man who himself loves the church and the cause of God's truth who can see beyond a man's character and stand with him in the defense of the faith. Het thema van de vroomheid werd voor Voetius karakteristiek en kan in moderne termen wel zijn 'onderzoeksprogramma' worden genoemd. Hij hechtte veel waarde aan de doorwerking van het christelijke geloof in het leven van de Christen en daarom wordt hij ook wel beschouwd als de grondlegger van de 'theologia practica' de praktische theologie binnen de gereformeerde theologie. Een belangrijk onderdeel van Voetius' praktische theologie noemde hij de theologia ascetica, de ascetische theologie. Deze vorm van theologie had betrekking op het geloofleven van de christen en Voetius schreef een handboek voor zijn studenten dat 'praktische oefeningen' bevat voor het geestelijk leven. Hierin schrijft Voetius bijvoorbeeld over het gebed, over de meditatie, over de sacramenten, het luisteren naar het Woord van God en de geestelijke verlatingen. Niet alleen op het gebied van de vroomheid is Voetius een grondlegger geweest (in dit verband wordt hij wel de voorman van de 'Nadere Reformatie' genoemd), maar ook op andere dogmatische terreinen heeft Voetius veel werk verzet in de Utrechtse Academie. Hij schreef onder meer een 'Syllabus Problematum' waarin alle dogmatische problemen worden uitgeschreven en van een kort antwoord voorzien. Dit werk diende als studiemateriaal voor de studenten theologie. Verder werkte hij de zaterdagsdisputaties uit op schrift en verzamelde een aantal van deze op schrift gestelde disputaties (eveneens 'disputaties' genoemd) als 'Disputationes Selectae'. Deze disputaties besloegen uiteindelijk vijf dikke banden. De academische methode die Voetius hanteerde is de zogenaamde 'Scholastieke methode' die ontstaan is in de vroege Middeleeuwen onder invloed van het geschrift 'Sic et Non' van Petrus Abelardus. Ook op wetenschapshistorisch gebied is Gisbertus Voetius' werk van belang geweest. Toen tijdens zijn hoogleraarschap de bekende filosof Rene Descartes in Utrecht verbleef, heeft Voetius regelmatig tegen deze nieuwe vorm van filosofie geschreven. Het belangrijkste bezwaar van de kant van Voetius waren dat Descartes' methode onschriftuurlijk was, zij verhief namelijk de rede boven het geloof en de Schrift. Tekst: Theo Pleizier, voorjaar 1997. 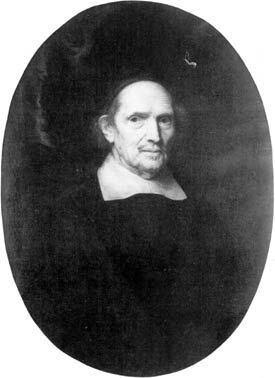 Gisbertus Voetius (1589-1676), who taught at the University of Utrecht for forty-two years, was a prolific author and vocal leader of the Dutch Second Reformation. Johannes Hoornbeeck (1617-1666), a student of Voetius, also taught at the University of Utrecht. M. Eugene Osterhaven is emeritus Albertus C. Van Raalte Professor of Systematic Theology at Western Theological Seminary. First published in 1646, Spiritual Desertion offers comfort and consolation to believers whose circumstances cause them to wonder if they've been abandoned by God. Second Reformation leaders Gisbertus Voetius and Johannes Hoornbeeck demonstrate that the anxiety of doubting believers is proof that God has not abandoned them; rather, it is evidence of the work of the Spirit in their hearts.